If you were looking to invest in a new Android phone, then today wouldn’t be a bad day to head over to your nearest Verizon store. 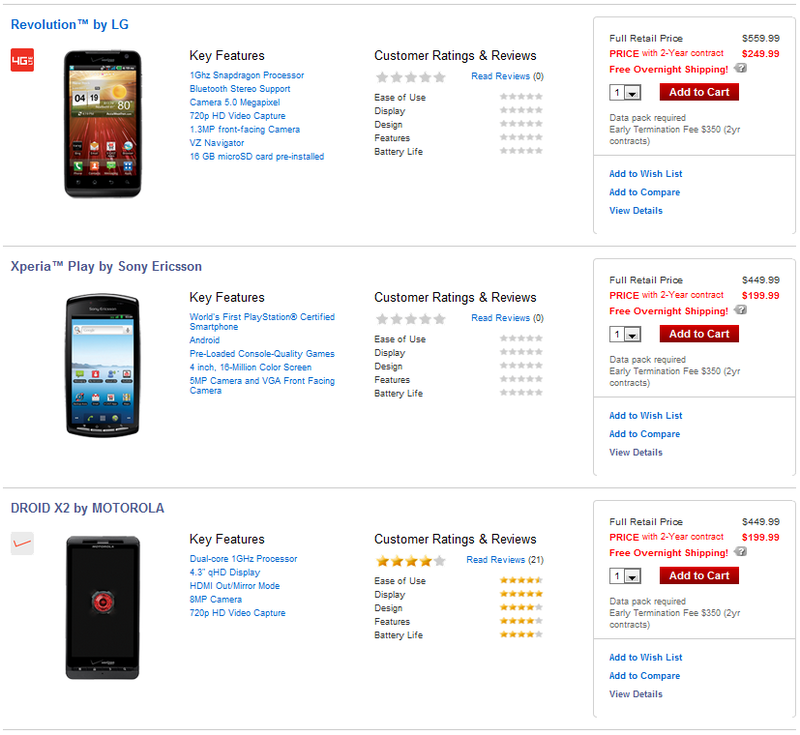 The LG Revolution ($249), Sony Xperia PLAY ($199) and Motorola DROIDX2 ($199) are all available. One of them run’s on their brand new 4G LTE network, another is a gaming machine, and the last is Big Red’s first dual-core phone. We’ll be doing a bunch of coverage on both the Xperia PLAY and DROIDX2 starting today, so if you want to wait and see our thoughts on them, just hang out here. The LG Revolution on the other hand has us torn – it’s basically the DROID Charge (our review), but without Google Search or that amazing Super AMOLED Plus screen. Oh, they did toss in Netflix though. Anyone picking one up today?